The generation gap between Chromebooks and Windows PCs continues to narrow as Chrome OS begins to leverage current chipsets like the 8th gen Kaby Lake processors from Intel. Devices like the Acer Chromebook Spin 13 will house some of the most powerful mobile CPUs on the market but developers are already looking ahead to bigger and better things for Google’s operating system. We’re still anxiously awaiting the emergence of the first-ever AMD Chromebook and as my sources have informed me, they are drawing very near to the actual production stages of the Raven Ridge devices. 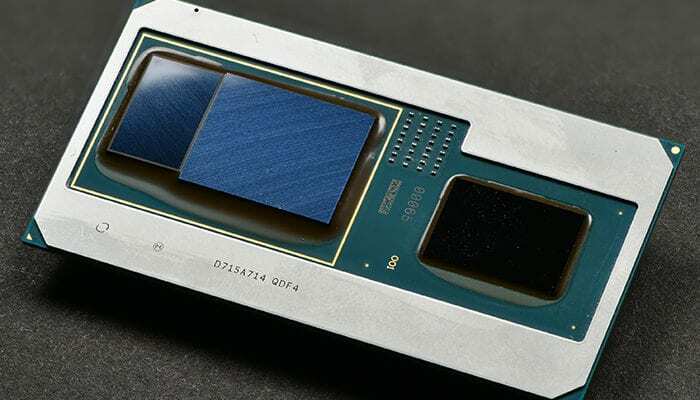 However, a new player has joined the team and it looks like there will eventually be a Chromebook powered by Intel’s Kaby Lake G processor that is an unlikely collaboration with none other than their competitor AMD. Announced earlier this year at CES, the Kaby Lake G series processors feature Intel’s 8th gen CPU combined with AMD’s Radeon RX Vega M graphics together in an all-in-one space-saving solution. The folks over at XDA Developers have unearthed a commit that brings the new hybrid chipset to the Chrome OS ecosystem. Added to the Chromium repository last week, the device codenamed ‘Kidd’ has been clearly labeled as “experimental” so I wouldn’t expect to see an actual Intel/AMD Chromebook any time this year. We know that GPU support is currently in the works for the still-evolving Crostini project that brings Linux apps to Chrome OS in native form. 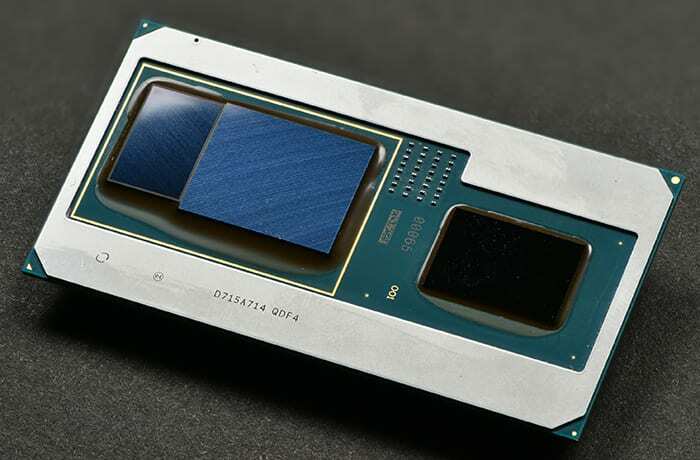 If and when Chromebooks are able to fully leverage GPU power, the hybrid Kaby Lake chip could bring gain a major edge over devices with the traditional Intel HD graphics embedded on the chipset. Until we see these processors in the flesh, we can only speculate at best but based on PC user’s benchmarks the Kaby Lake G series will bring at the very least an 18% performance boost over the 8th gen Kaby Lake U series that will be coming in the next round of Chromebooks such as the Acer Spin 13. If our preliminary scores from the Acer are anywhere near accurate, the G-series could come out pushing Octance scores around 40,000. Again, I wouldn’t hold out on buying a new Chromebook in the hopes of seeing one of these any time soon but it’s exciting to see Chrome OS getting the same attention and love as other platforms. We’ll keep a close eye on ‘Kidd’ in the hopes of learning more.